Trust me get a decent led bar like the Stedi and you will be absolutely amazed with the amout of light they throw out. 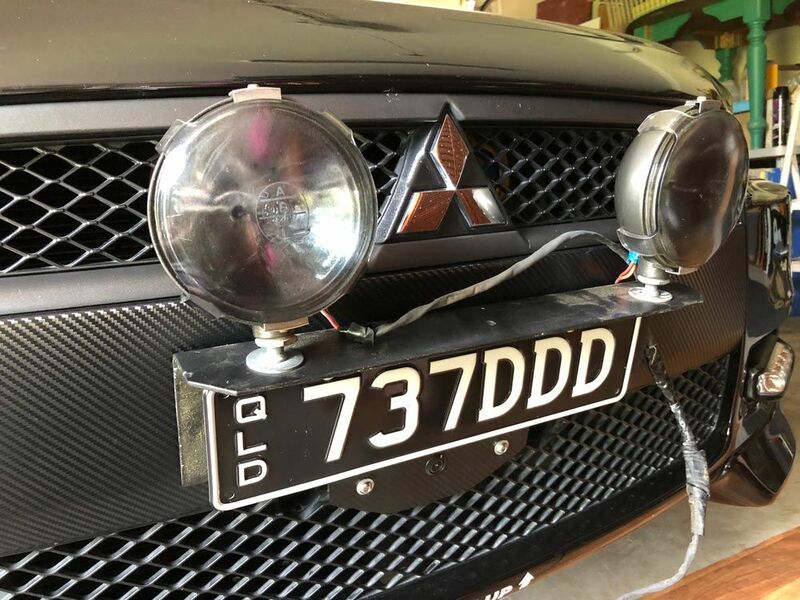 I have no doubt you could mount it behind the grille and it would make bugger all difference to the amount of amount of light that will be projected infront of your vehicle. Just bear in mind that you probably can only have the light bar come on with the high beam (check your state regs). Vicroads rules on fog and driving lights. for example. So if your unlikely to be in an area you will use high beam often, eg. country roads, then fitting a light bar isn't really worth while. Stedi comes with a full plug n play wiring harness. I own one of their harness and they are so super easy to install its not funny. Fully ADR complied and you can buy it own its own from ebay direct from Stedi. Yeah I know this, same set up for spot lights I had on the old Lancer. Are these any good from BCF? They had a special a few months ago and i did post about it. I grabbed a 20 inch bar down from 250 to just $100. Mine is a single row. The only thing to be careful of is how it mounts. See the end of the bar there is a plate the comes down to bolt up to a bull bar. Goto BCF and have a look in the box and see if it comes with mounts that attach to the bottom of the bar that will slide the full length of the bar. With out the bottom slide mounts you will have a fun time trying to mount the bar to the front of the lancer.if it does have the slide mounts your aet. 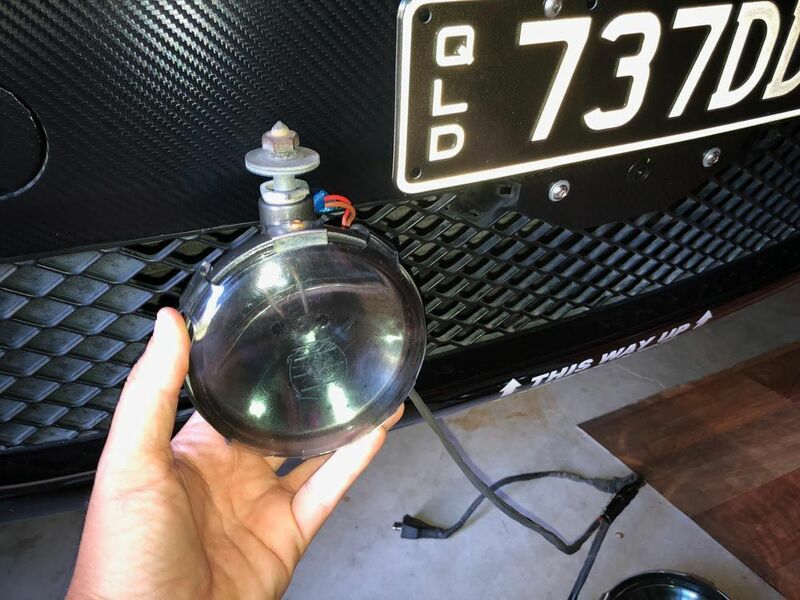 It can easily bolt.up to a licence plate headlight mount. My idea was to bolt them directly to the top grill, I just don't know if its strong enough so its just a theory at the moment. I'll see if I have time to drop in today as I'll be right around the corner from my closest BCF. One thing I noticed on their website is no mention of the length of them ones listed, I'm assuming the $40 one (plus wiring) is about 20" so will check it out. I'd suggest to try avoid driving at night if possible, too much wildlife around. High beams can also be a factor in roadkill as they scare animals on to the road or freeze them in place (deer in the headlights). Kangaroos, Wombats and Camels are bad enough but it's the Emus that are the worst, plumage the same colour as the road and a high centre of mass. Hit one of those and it's coming straight into your windscreen. You say your going west would that be across the Nullabor? My brother and I drove that once for a short while at night and high beams weren't that useful as the road is so flat you can see lights of distant cars so far away we kept switching to low beam as we thought they were much closer than they were, you could literally see them a few kilometres up the road. Also no matter where you mount the bar (behind grill or on bumper) it will be blocking airflow into your radiator. Maybe an idea could be to mount it above the bonnet on a removable bracket like a rally car light pod setup. My led bar does not block the radiator grills as it is a low profile unit and sits nicely above the licence plate where the mitsy logo is on front bumper. 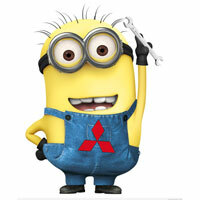 Dont forget you can use the high beams on the lancer with out the led bar. I wish someone would make a rally style spot light or bar pod for the CJ, something you can remove once not needed. Yes basically got through Mt Isa west then head south to Alice and Port Augusta and then west to Esperance WA. Night driving will only be if we need to not a planned thing. Also just checked out those ones in BCF, the XTM ones are new to them and really light. Think they are 21.5/31.5/41.5 in size, plus smaller ones you'd use in pairs. Look these are all just options right now, not sure which way I'll go. Lancer1993 wrote: Yeah saw that too but only issue there is its lower down than is ideal and the grill will block some of the light, so might be a lot of work for no gain. Yes checked the links and found the weights, I also picked one up in SCA once, they feel heavy. Maybe get a combo of led bar behind grill and an aftermarket grill with "mesh" that doesnt block as much light? I think it looks cool, although I will need to either buy an alloy bar or go to the scrap place and find something I can use to make something. This bar is stainless steel I think as its way to heavy to be annoy but its non magnetic. And yes some idiot thought tinting the plastic covers would look cool. I'm just about to write up a post about how I mounted a light bar in a way that not many people can see if you're interested. I'll add the link in a second once it's done. Saw the post, nice work. Still decided which way to go. I like the 'classic' look of the spots I have. This is another mounting option is lower and off to the side more, make a bracket that fits behind the number plate, allowing for an CB antenna mount also.